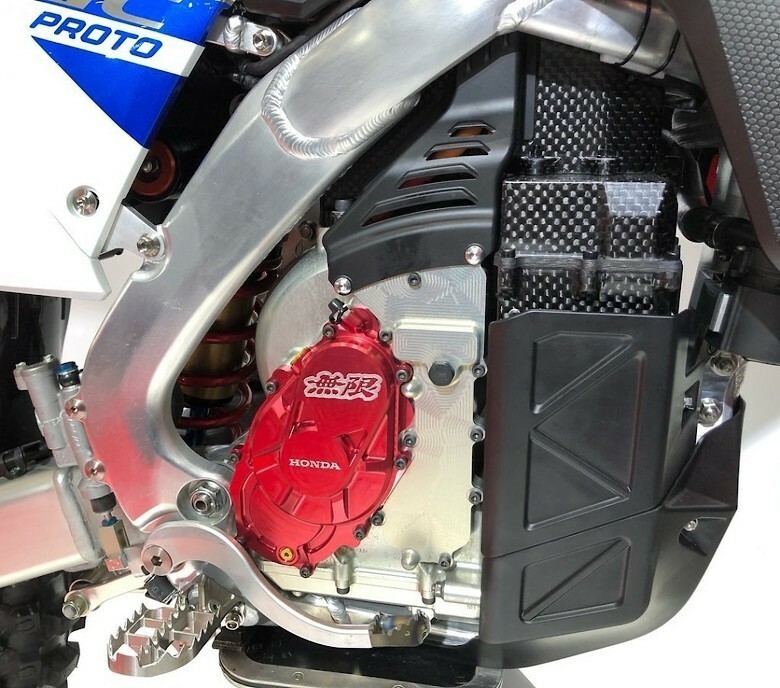 This might be the first real glimpse of what an electric motocross bike will look like from a Japanese manufacturer. If you have been in the forum in the last 24 hours, you've probably seen this. If you haven't, here is a link to the thread. 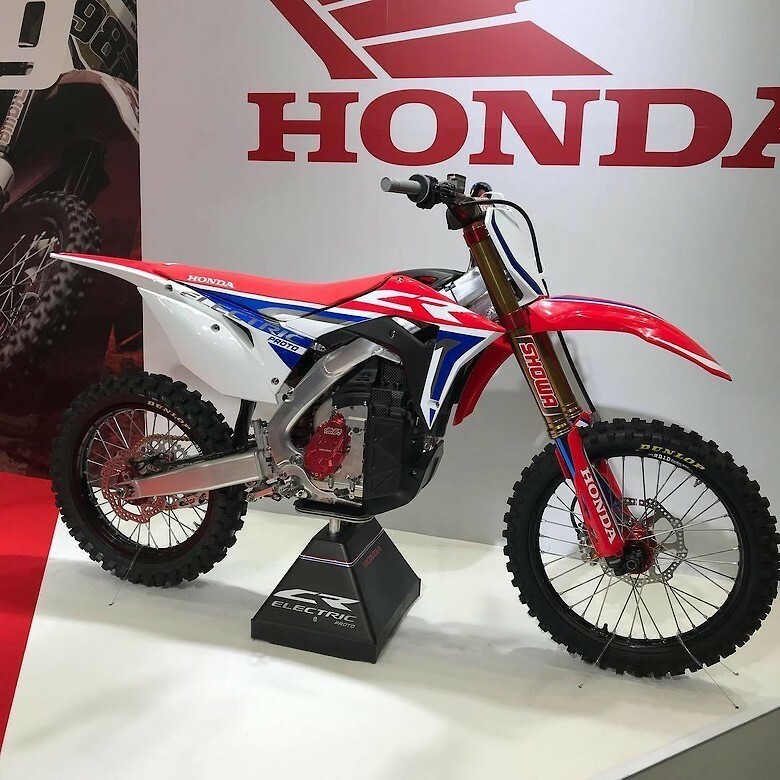 At the Tokyo Motorcycle Show Honda has unveiled a full-sized, fully-electric dirt bike in the performance CR line of motorcycles. 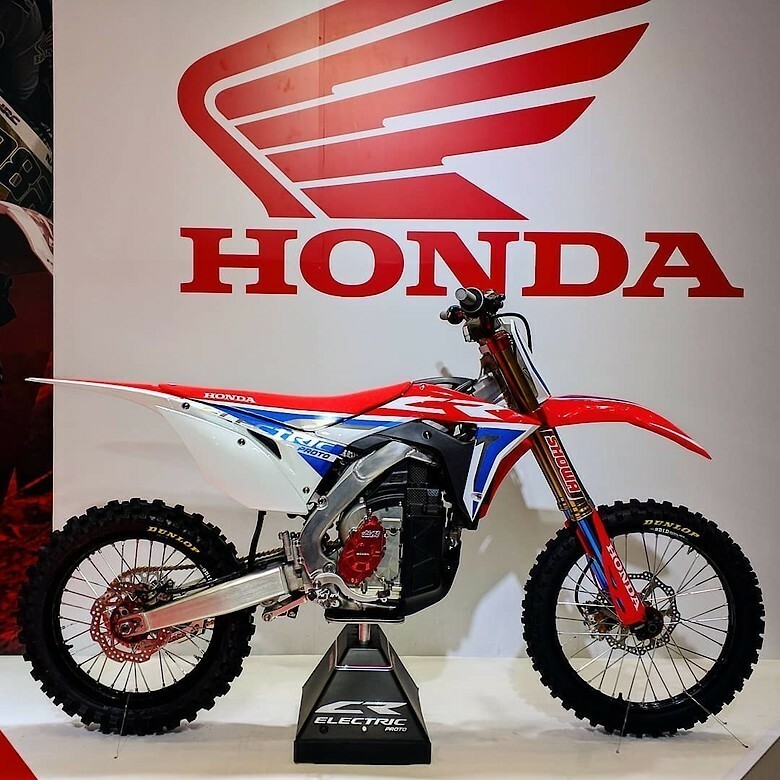 From what we can see, this has all the high-end motocross equipment that the CRF250R and CRF450R have, with no headlight or taillight, meaning it is, most likely, a dedicated motocross track bike. But before everyone looses their mind, in a good or bad way, prototypes at motorcycle shows don't mean a whole lot. There have been hundreds of mind-blowing concept machines that have been shown, in-the-flesh, and have never made it to production. We aren't saying that this won't be a real bike, just don't hold your breath. Even if this bike was green-lighted to be mass produced, it could be two to five years before we see any real progress toward that goal. 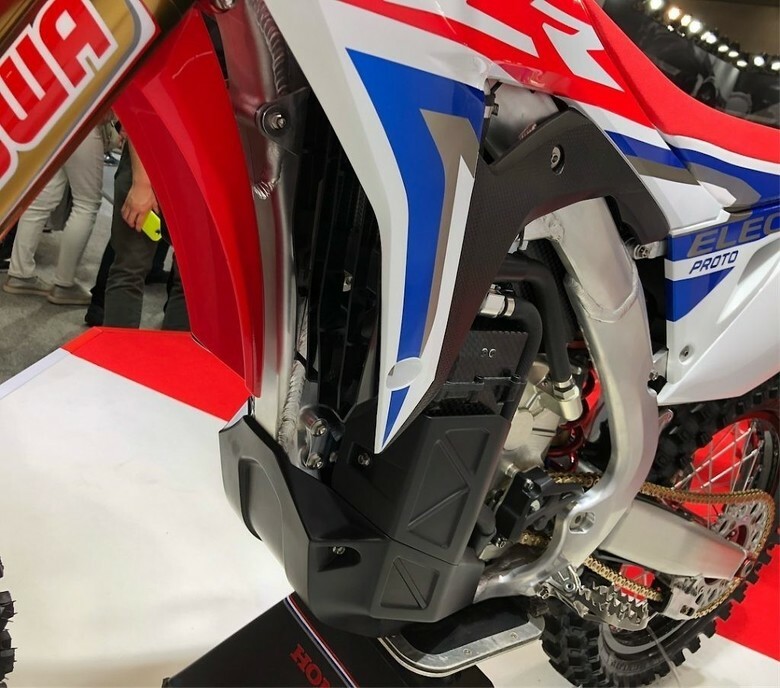 All new models, like Honda's Africa Twin, can be teased ad nauseam for years to keep interest high and potential buyers saving their money. I don't want to get into a political debate over electric bikes (that is what the forum is for and it does a mighty fine job). I just want to add that if an electric motocross machine can perform at the same level (including weight, range, power, handling, durability, etc.) as modern 250 and 450 four-strokes, I'm all for it. There are more photos in this story from Enduro21.com. The photos above have been pulled from the forum. We did not take them and their origins are not clear. graphics look better than gas jobs. Other than the milling marks on the starboard side of the bike, it appears close to production ready. So many possibilities without the need for fuel tank and air box. Sealed storage for accessories, tools, chargeables, Spare riding gear or even a aux battery for additional range.